Get ready for the most awesomesauce K-Zone issue yet, as the biggest kids' magazine in the country celebrates its 10th birthday this October! Keep your eyes peeled for the coolest prizes, epic top ten lists, plus the most exciting cartoons and movies to watch for in K-Zone's thickest ish, ever! It's all treats and a few tricks as K-Zone teaches you how to level up your Halloween. Zombify yourself by following K-Zone's tips on how to tread like the undead. You can also get a set of FREE K-Zone Zombie tattoos in every issue! In this ish, K-Zone features tenacious top 10 lists of the most rockin' TV shows, music, movies, cartoons, and books that rocked the last decade. Plus, see how your favorite kids' magazine has evolved in a look back at 10 years of K-Zone awesomeness. But wait, there's more! 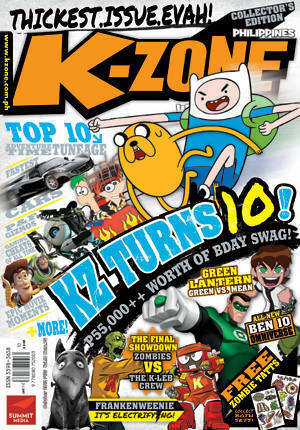 K-Zone is also giving away awesome birthday swag in selected sections of the magazine. 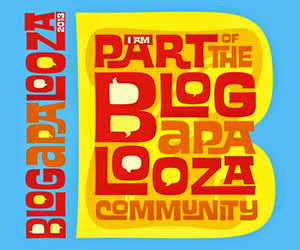 To join, K-Zoners can visit the 10th Birthday Blowout tab found in K-Zone's Facebook fanpage. Just fill up the form, type in your desired promo code (see October issue for the prizes and promo codes), hit Submit, and you're good to go! Entries will be accepted from October 1 to 31,2012. Ten lucky winners will be drawn for each prize so hurry and join now! Grab the October issue of K-Zone available in newsstands, bookstores and supermarkets nationwide for only P125. For more of K-Zone online, visit and Like www.facebook.com/kzoneph.